There is no underestimating the power of one voice in telling a nonprofit’s story. ​As staff, volunteers and advocates, we can (and should!) share about the work that we do. But in the end, the most effective voices are those who have lived our story. 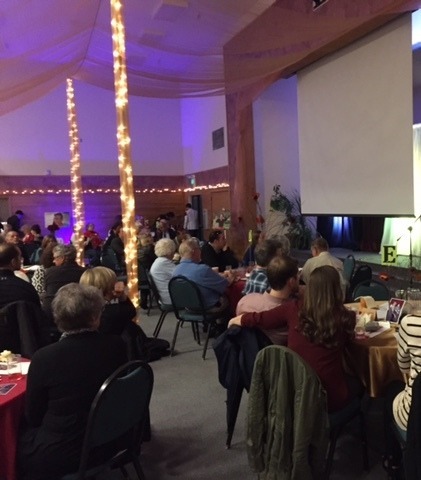 ​​As the keynote speaker at Always a Time to Bloom, our October 2015 fundraiser dinner, Sandra’s words were a powerful testament to both the real struggles that homeless families face, and the importance of safe havens like The Family Shelter that give families a place to breath, regroup and move forward. Each year, we invite someone who has lived at our shelter to be the keynote speaker at this event. It’s always powerful, but this year, Sandra’s well-prepared words and courage to share deeply were especially moving. She was able to give an individual face and voice to the nameless statistics that so often accompany discussions about homelessness. She also illustrated to everyone in the room just how important it is to have the support of the entire community. None of us can do it alone. Judging by the tears in the room (mine included!) she inspired many of us to deepen our commitment to ending family homelessness.